It’s a part of the staircase lighting decoration done in bronze or something resembling it, I guess. 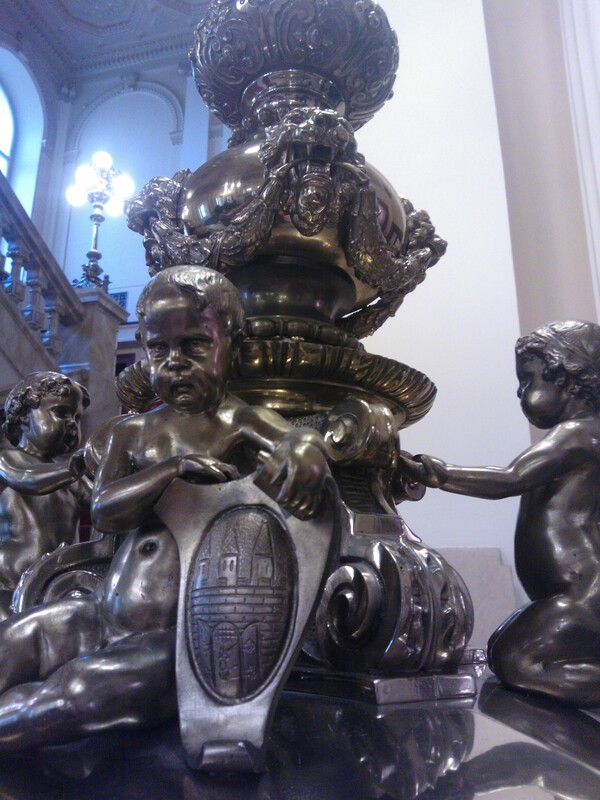 This entry was posted in Life/Photography and tagged Angels, Bronze, Cherub, Foyer, Palace, Staircase, Statue, Statuette, Ugly, Zofin. Bookmark the permalink.